Today’s post is about pearl embellished accessories that keep trending. They are in this year’s fashion trends, but they have been popular over the past years as well. The previous article was about pearl fashion trends that have become prominent this year and which have been spotted on fashion presentations, on the streets and on many outfits displayed by fashion bloggers. Now, we will show you 20 pearl embellished accessories that are totally fabulous. So, if you want to rejuvenate your spring and summer wardrobe, make sure to add some of these pearl accessories because we guarantee the “wow” effect. Designers keep adding pearl embellishments to their collections and that’s just wonderful because we absolutely love how pearls bring that touch of glam. If you’re a bag lover or looking for some elegant hair accessories, keep reading this article. All in all, here is our list of pearl embellished accessories that we found among designer collections, but also on affordable online stores. Firstly, here are 6 of the latest pearl clutches that reveal a true fusion of fashion and functionality. The pearl embellishments make them look extremely elegant and classy. 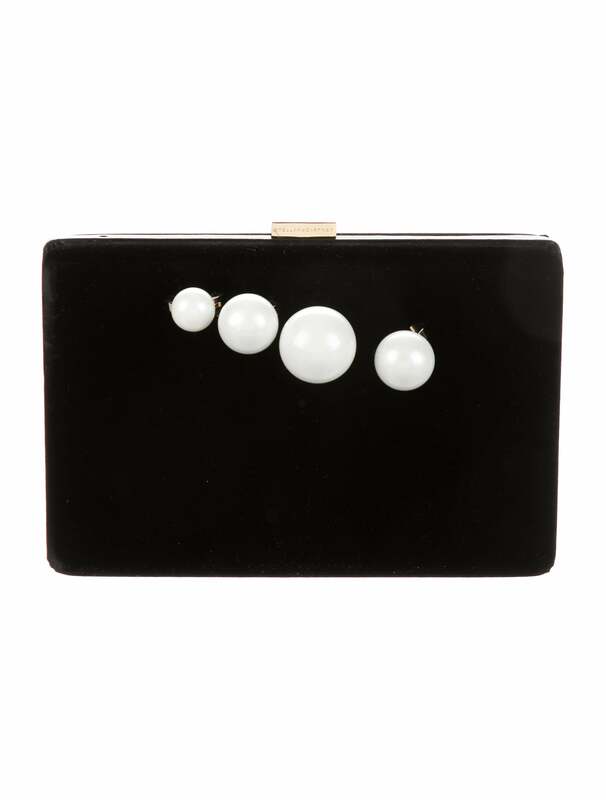 For example, this clutch from Stella McCartney mixes very well the black velvet with gold-tone hardware with faux pearls knuckle clasp at front. In this image you can’t see it, but it also has an optional chain-link shoulder strap. 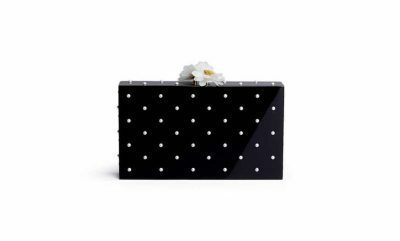 And black will always make white pearls look charming on any item. 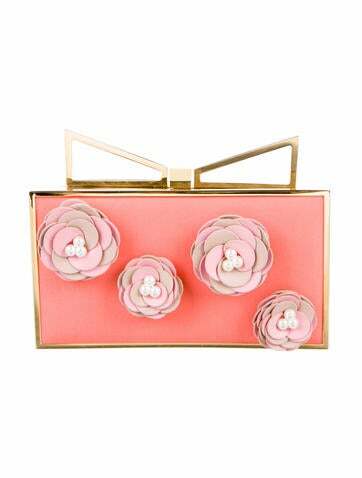 For a fresh, bubbly, chic look, Sara Battaglia proposes a pink floral clutch, decorated with white pearls. Stunning, right? White leather and white pearls? If chosen well, they create a fascinating fashion item. 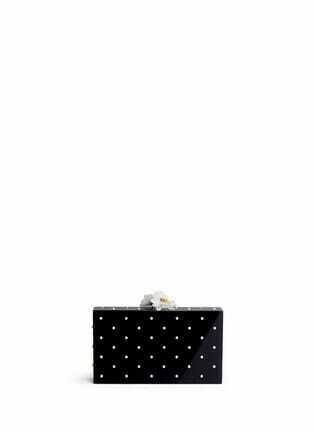 Gucci can’t stop amazing us and creates this chain clutch with all over pearl studs. 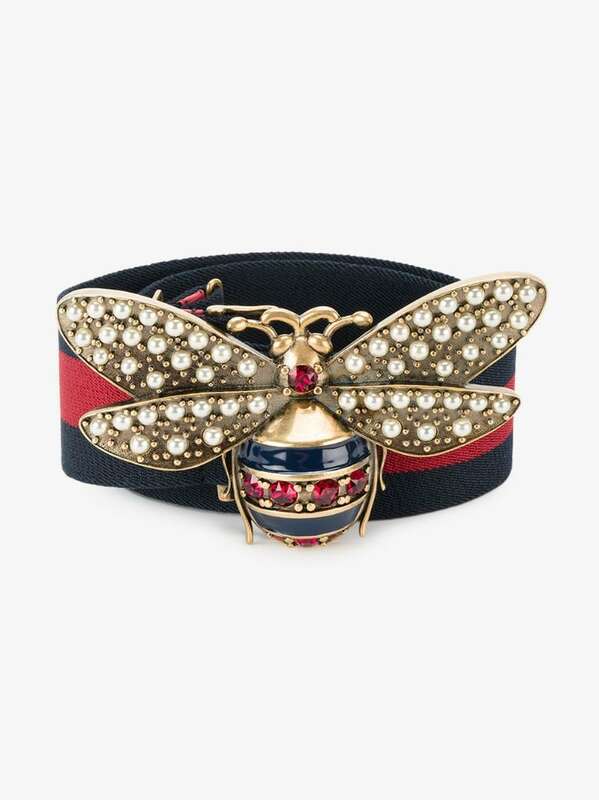 What is more, is that the red crystal stones and the bee wings embellished with pearl effect studs create a beautiful effect. 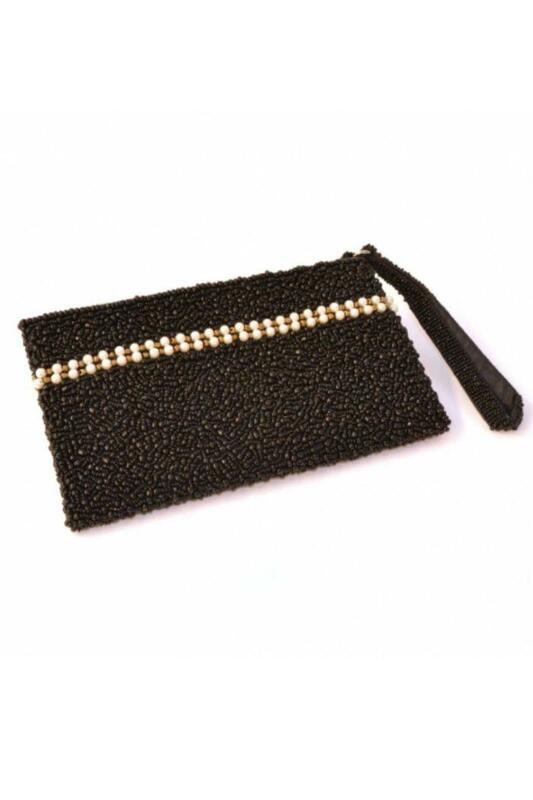 If you’re looking for a more affordable option in terms of pearl clutches, here’s our suggestion from Pink House: an elegantly beaded bag with a classic pearl accent. You can definitely wear it during a night date or evening formal event. To make sure you get the most of its magic, wear it with a black dress with long sleeves and some tiny white pearl earrings that match with the 2 pearl line embellishments. We tend to associate pearl hair accessories with princesses and fairies because of their fine touch, so there’s nothing wrong in wanting to look like one of them. Dress up your hair with these pearl decorated bobby pins or clips, wear a silky dress and create your own fairy-tale. For a sophisticated look, try this kind of draped chain-front pearl headpiece. Ladies, you will feel stupendous! Oscar de la Renta, Alexander de Paris, and Salvatore Ferragamo clearly have something in common – their collections include romantic, refined, and alluring headbands, beautifully decorated with pearls. It’s obvious that they are able to bring modern-day classics into the spotlight. 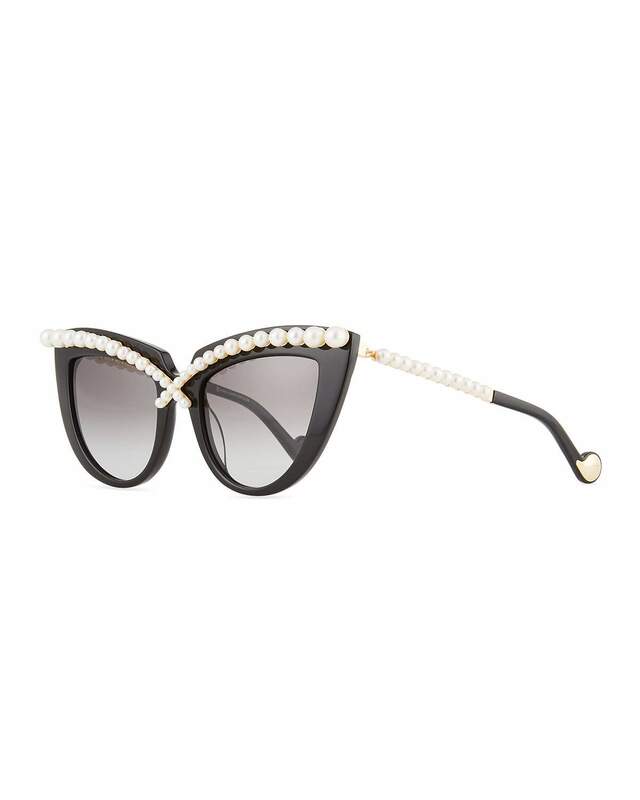 Pearl-studded sunglasses are a thing among celebrities and fashion bloggers. But you don’t have to be one to wear them, that’s for sure. Rihanna was spotted wearing this kind of round shaped pearl sunglasses a couple of years ago, but the trend is not dead. Here’s a cute pair with pink pearls from Chanel and a less expensive option, definitely Chanel inspired, with white faux-pearl embellishments. 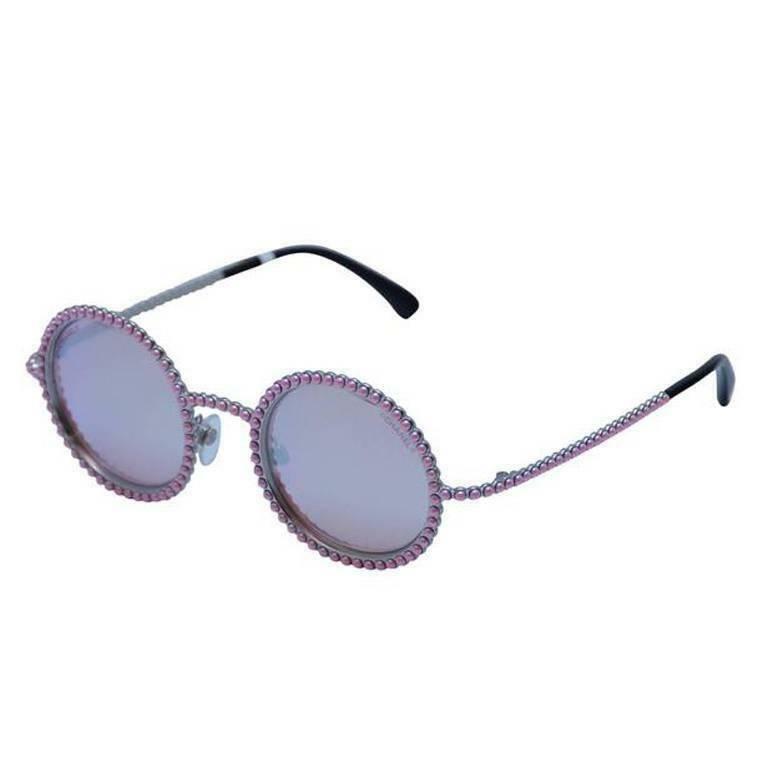 Next, if you want to look extra glamorous or if you’re not afraid to try an extravagant look, here’s a great pair of pearl studded cat-eye sunglasses. They are absolutely terrific and will turn a lot of heads! Finally, we love pearl embellished belts because they make your attire special, remarkable, and totally stylish. But, you should be careful. A belt is the kind of accessory that can bring up to life if chosen well or bury an outfit if wrongly placed, so pay attention to your type of figure and the clothing materials. Therefore, when in doubt, we suggest wearing these pearl decorated belts with monochrome outfits (or in some cases, 2 colors are perfectly acceptable). 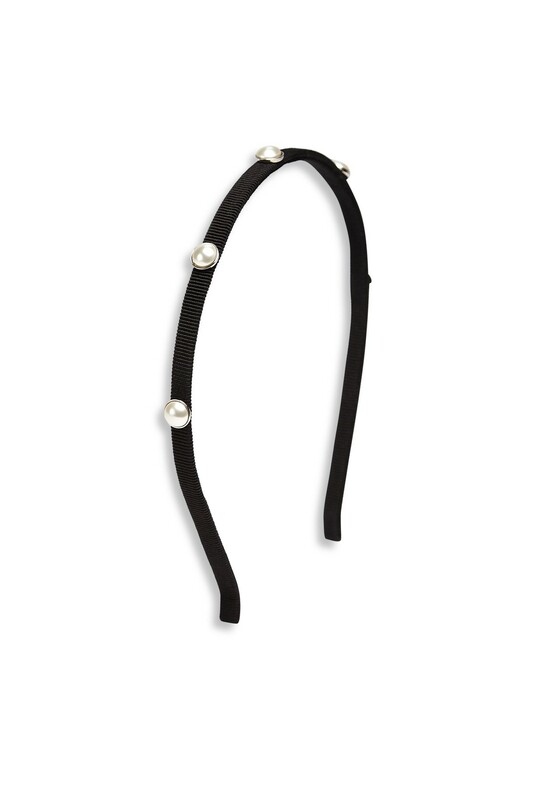 Chanel is Chanel…you can never go wrong with this black leather pearl with faux pearl embellishments. It looks exquisite! Also, we are pretty sure you noticed these superb belts from Gucci. Precious and a bit pretentious, they are ideal for casual looks. 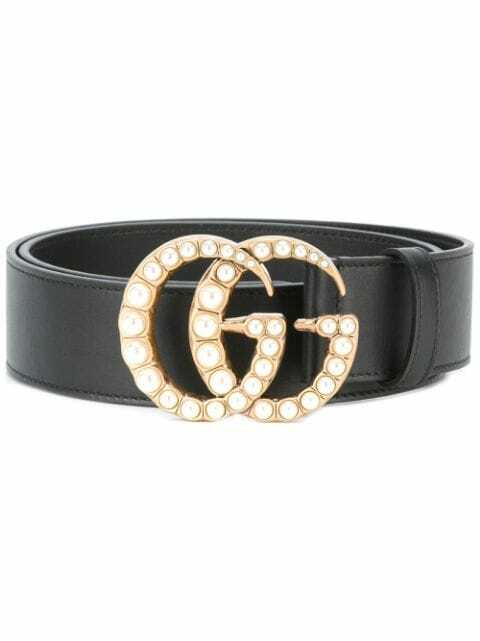 Moreover, if you are on a budget or simply not looking for a designer belt, here is a very lovely option. We are closing our list with this vintage pearl embellished belt which will definitely bring a playful feminine appeal to your look. You can easily recreate the 80s look! Moreover, this daring pink will attract a lot of compliments. Therefore, we reached the end of the list of our favorite 20 pearl decorated items. To conclude, we love all these pearl embellished accessories. They are modern, charming, distinguished…and they compliment any outfit. We hope you found some items that fit your fashion style and until next time, have fun shopping, dear pearl lovers! Image sources: featured, 1, 2, 3, 4, 5, 6, 7, 8, 9, 10, 11, 12, 13, 14, 15, 16, 17, 18, 19, 20.